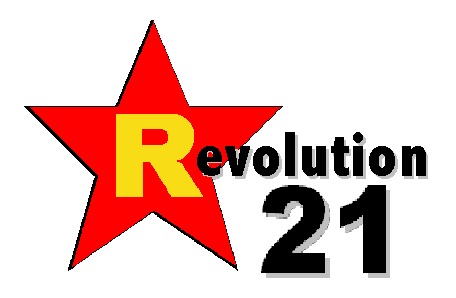 Revolution 21's Blog for the People: Flag on the play. Felony assault. 5 to 10 years. It has come to this in Louisiana's fiscal war on higher education: The state's higher-ed flagship, LSU, has resorted to taking a page out of the sheriffs' playbook and is taking in inmates in a desperate bid to garner at least some state funding. But in an audacious move, the university athletic department has found a way to maximize LSU's capitalization potential with "work details" featuring the most physically gifted among its state charges. In fact, the Tiger football team took the philosophy behind the popular Angola Prison Rodeo and -- BAM! -- kicked it up a notch. LSU freshman defensive back Jeryl Brazil was indefinitely suspended from the team following his second arrest in less than two months, Les Miles announced Wednesday night. Brazil, 19, of 16217 Highway 40, East Independence, was arrested Oct. 18 for simple battery and simple criminal damage to property. He was issued a misdemeanor summons and released. LSU Police Department spokesman Capt. Cory Lalonde said officers responded to a disturbance at West Campus Apartments at 3:34 a.m. on Oct. 18, where the complainant told officers Brazil was upset and she and her roommates were trying to calm Brazil. The complainant then told officers Brazil grabbed her by the neck and pushed her onto the sofa, then punched a hole in the wall before leaving the apartment, according to Lalonde. THE TIGERS, this season putting Brazil and sophomore running back Jeremy Hill front and center in their promotional push, have tabbed the 2013 grid campaign "The Long Stiff-Arm of the Law." Brazil and Hill join past Tiger star offenders Jordan Jefferson and Tyrann Mathieu as athletic/public relations double threats. LSU Coach Les Miles today declined to say exactly when he will declare Brazil -- who has proven himself the equal of past Tiger arrestees in his tenacity in engaging law enforcement -- "a fine young man" and "greatly matured," then reinstate him to the team.